Well today is rather slow day in the world of celebrity plastic surgery news and gossip, so lets kick back, take off the shoes and have a stroll down memory lane. 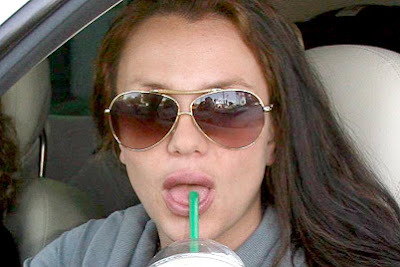 I can't believe its almost been three years since Britney Spears first tried her luck with lip injections, and boy was that a bad idea...The poor girl never was able to wrangle that straw with those big swollen fish lips. At least the lip injections weren't a permanent mishap, like the result of the nose job she was rumored to have gotten. Britney Spears has been through a lot of tough times during her run in the hollywood spotlight, and something tells me she's learned her lesson.